The City of Orlando and Orange County Government, in collaboration with Pulse, have jointly designated June 12, 2017, as “Orlando United Day – A Day of Love and Kindness.” June 12 will be dedicated to honoring the memory of the 49 innocent Pulse victims, supporting survivors, and recognizing the compassion and love that was displayed by the Central Florida community following the tragedy. In honor of Orlando United Day, below we have outlined a series of events and opportunities to join together, (both on campus and in host locations throughout the greater Orlando community) to show support on this day of remembrance. 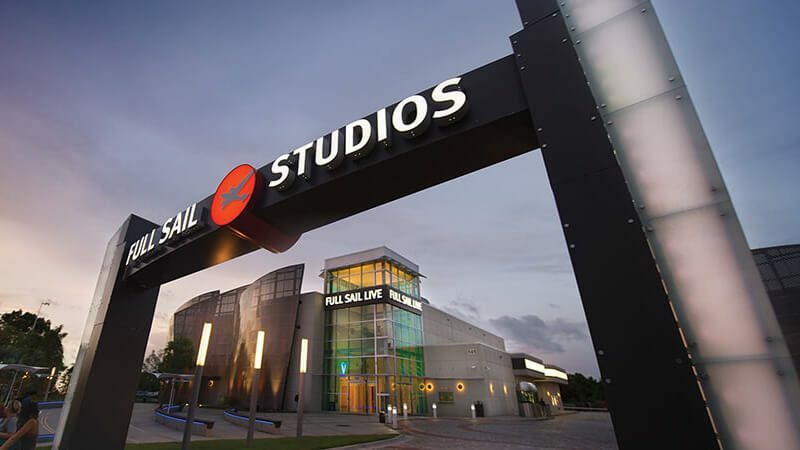 Full Sail University will serve as the host location for 41 first responders and eight dispatchers - totaling 49 Orange County Fire Rescue personnel - that will be recognized for their service to the community during the Pulse tragedy. This is a private event for first responders and their families. Be sure to follow Full Sail’s official social channels to view info and images following this event. Blood for Blood (2017) Writer/Director: Jared Bolhuis; Producer: David Apodaca • Running Time: 7:50 • Website: facebook.com/B4Bfilm • Synopsis: One act of hate, Orlando reacts with love, shedding blood for the victims whose blood was shed. With Pride, Stigma Tattoo Bar raises money after the Pulse shooting. Calls (2017) Writers: Mark Christmas, Cameron Settles; Director/Producer: Mark Christmas • Running Time: 6:56 • Website: facebook.com/CallsMovie • Synopsis: After receiving life-changing news, a man must make decisions that will impact his life — and the lives of others. Film Slam runs from 1 to 3 p.m. at Enzian, 1300 S. Orlando Ave. in Maitland. Tickets cost $8 each and can be purchased at the box office or at Enzian's website. Orlando United Day is an opportunity to join with others in Acts of Love and Kindness to continue the unity that followed the tragedy. Engaging in these activities on June 12 is a respectful and loving way to remember and honor the lives of those taken and to show compassion to those who need support. Campus Moment of Silence – All Full Sail students, staff and faculty are invited to join together on June 12 at 11:45 a.m. on the walkway area (located closest to the flagpole and campus display) to take part in brief remarks followed by a moment of silence at 12 noon in remembrance of the 49 victims. Full Sail’s Student PRIDE Club will be in attendance to distribute rainbow ribbons of remembrance, as well as info on 49 Acts of Kindness. Pure Motivation Event: The Central Florida community and Feeding Children Everywhere are coming together on June 12, volunteers will gather at FCE's Central Florida headquarters to package 10,000 meals for each of the 49 people lost in the Pulse tragedy — for a total of 490,000 meals. The nutritious meals will be distributed to the victims' home countries, helping to transform this day of despair into a day of love and service. All students, faculty, and staff are invited to participate. Check In: 8:15 a.m., Depart Full Sail: 8:30 a.m., On-Site: 9 a.m.- noon. For full details on how students can participate, visit Connect. For more information about the community events taking place across Orlando on June 12 to remember the victims and honor the survivors, including the Lake Eola Amphitheater remembrance ceremony at 7 p.m., go to OrlandoUnitedDay.com. To learn more about the #ActLoveGive initiative visit One Orlando Alliance. As a show of community support Full Sail will be proudly displaying the official Orlando United Day graphic and hashtags across campus. Feel free to join us in using the official hashtags #OrlandoUnited, #OrlandoUnitedDay and #ActLoveGive to show your support. Tuesday, June 13: PRIDE Club Meeting: The Pulse Discussion – One Year Later. We wanted to provide an open space to discuss and meet in honor of Orlando United Day. All students, staff and faculty are welcome to participate; the meeting will be held 6 p.m.-8 p.m. on June 13 in FS3B-130. PRIDE (Peers Respecting Individuality Differences and Equality) is a club of like-minded individuals with a focus on LGBTQ issues. PRIDE’s main goals are promoting acceptance, standing up against hate, and providing a safe place for Full Sail students to be themselves. Thursday, June 15 at Building 3B from 3 p.m. to 5 p.m.